Panhard and Levassor operated one of the largest machine shops in Paris in 1887. Persuaded by Edouard Sarazin, owner of the French patent rights to Daimler’s new high speed engine, P+L started building these engines and, inevitably, automobiles. P+L built a drastically different automobile in 1891. They placed the engine vertically at the front of the chassis, rather than underneath or behind the driver, and put in a mechanical transmission that the driver engaged with a clutch, allowing him to drive the rear wheels at different speeds. This layout, known as the Panhard system, became almost universal for automobiles for decades to come. Emile Levassor, Armand Peugeot and a committee of other automotive pioneers, including France's leading bicycle manufacturer, and some journalists, wanted to capitalize on public enthusiasm for the automobile. 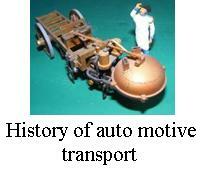 France led the world in automotive technology at the time and these persons of influence wished to enhance the reputation of the horseless carriage, mostly for their own gain of course. The Paris-Bordeaux-Paris Trial became the first real motor race, as all the 46 competitors started together, en mass. Émile Levassor (driving a two-cylinder, 1205 cc, 750-rpm, four-horsepower Daimler Phoenix engined car), started carefully, observing his opponents. When Marquis de Dion stopped to refill water to his steam car Levassor overtook him for the lead. Stopping regularly to check his car's components Levassor led for the rest of the race. Arriving in Bordeaux several hours before anyone was expected Levassor found the driver who was to be his replacement was still asleep in a hotel, and no-one knew which one! Levassor accepted the situation calmly and woke the organisers to prove his presence and record his time, then after taking a brief walk, eating some sandwiches and having a drink of champagne, at 2:30 am he set off on the return leg to Paris. Baron René de Knyff met Levassor en route and being so surprised by Levassor's time nearly crashed. After two days and nights behind the wheel Levassor drove triumphantly into Paris. His time for the 732 mile journey was 48 hours and 47 minutes. He set an average speed of just over 15 mph and it was nearly six hours before the runner-up appeared. This model was converted from the Europe kit. the engine cover area was modified in shape by rounding off the edges. A hood was scratchbuilt from wire and dopped tissue paper. Other wise the car is much the same as the road version, as was the style of the day, road cars were themselves the race cars! All the painting is by brush with Humbrol enamel paints. It was built back in the 1990s before Ian ventured into the world of spray paints and super detailing.